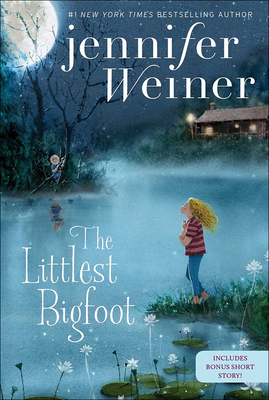 From #1 New York Times bestselling author Jennifer Weiner comes a "smartly crafted" (BCCB) and "heartwarming" (School Library Journal) tale of friendship, furry creatures, and finding the place where you belong. But Millie is a Bigfoot, part of a clan who dwells deep in the woods. Most Bigfoots believe that people--NoFurs, as they call them--are dangerous, yet Millie is fascinated with the No-Fur world. She is convinced that humans will appreciate all the things about her that her Bigfoot tribe does not: her fearless nature, her lovely singing voice, and her desire to be a star. Alice swears to protect Millie's secret. But a league of Bigfoot hunters is on their trail, led by a lonely kid named Jeremy. And in order to survive, Alice and Millie have to put their trust in each other--and have faith in themselves--above all else.